Want to ensure that you stay safe on social media? The way we communicate is rapidly changing. From first using only face-to-face interactions, to sending letters, to calling, and now, using social media. Social media has opened up incredible opportunities for you to communicate with people from all over the world in a matter of seconds with the help of social media sites. The internet and social media revolution have begun, and in 2018, it is estimated that the total number of social media users around the world will reach a whopping 2.62 billion people. And the growth of social media users doesn’t look like it’s slowing anytime soon. As social media has evolved, tons of social media platforms have emerged. Now, there are Instagram, Facebook, Twitter, Pinterest, blogs, and much more. Moreover, as social media has become an integral part of our everyday lives, many of us are sharing photos from our lives, personal information, and much more, without really thinking twice about what it entitles. And as social media is taking a bigger and bigger part of our lives, social media has become a perfect way for cybercriminals to access valuable information, and commit all sorts of crimes by leveraging it. While social media has many benefits, it’s also important to be aware of the dangers out there, and how you can stay safe on social media sites. By being aware of the risks of social media, and more importantly, developing a strategy for how you can protect yourself on social media, you’ll minimize the risk of getting your identity stolen, or having your house broken into. The most obvious and simple way to protect yourself on social media is by using strong passwords. 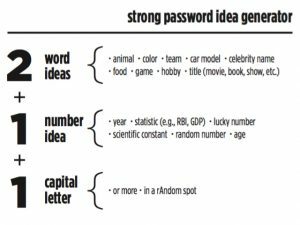 Using simple passwords makes them extremely easy to hack, and this is why weak passwords often are the ones that run the highest security risk. The most obvious passwords you can have are passwords like 12345 or ABCDE, and these are also the ones that run the highest security risk. Not only should you create strong passwords, but you should also update them regularly. As a guideline, never use a password that consists of less than eight digits, and always include dots, capital letters, and numbers. Moreover, avoid having obvious passwords that are directly related to you. For instance, if your surname is Johnson, avoiding having that as a password at all cost. Another way to stay safe on social media is to have different passwords for each of your social media accounts. Unfortunately, this is a mistake that many people make, just because it is much easier to remember the logins for each social media account. The problem here is that if you have one of your social media accounts hacked, the rest of them run a great risk of being hacked, too. Many social media accounts have a two-factor authentication, which means that if you’re logging in, you need to type in a code, for instance by getting a text, or an email. 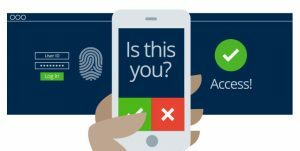 Using two-factor authentication is the best way to prevent yourself from being hacked because even if someone may have the login for your social media account, they still need the login to your email, or maybe even your phone. Never avoid strangers on social media, because these may not be the people they say they are. Or, they might be who they say they are, but that doesn’t mean they are safe or have a good agenda. Moreover, the profile can be a blatant fake profile and a bot, whose agenda is to do phishing. Their objective might be to access information that they can use against you. Moreover, even if you get a friend request from someone you know, it might be the case that they have been hacked, or that someone has created a fake account in order to replicate them. On social media, scammers will often look at the people you are following and that you are friends with, and then create a fake profile in that person’s name. Continuing on the point above, social media is full of fake profiles and bots. In fact, In 2017, Facebook admitted that there were over 270m fake and duplicate accounts on the platform. Moreover, a study found that up to 15 percent of Twitter accounts are bots, which translated to about 48 million accounts. And it’s important to be aware of the fact that fake profiles and bot accounts exist on all social media platforms. This is why you need to be extremely careful when interacting and talking to strangers online. There are a tremendous number of third-party social media tools out there that you can connect your account with. And when you connect your account to third-party tools, you give them access to your account, as well as give them your logins. Many third-party apps come from completely legit and trustworthy businesses, but many are also solely created with the agenda of hacking accounts. Therefore, it is extremely important that you are careful with the tools you connect your social media account with, and with the tools that you give access to your account. You should connect as few third-party applications as possible, and be highly selective with the ones you do connect. Chances are, you have plenty of social media apps on your phone. If you do, ensure that you password protect your device. Links are the most common way for hackers and bots to spread virus, malicious content, get access to your device, access your personal information, and log into your social media accounts. This is why it is vital that you are careful with the links you do click on. Avoid clicking on links in messages that are sent to you from random accounts (this is not completely uncommon on Facebook for bots to send a bunch of spam links to people), be careful with clicking links in tweets, posts, and even ads. Something that has increased on social media is so-called clickbait. This is a type of content that attracts and convinces people to click on a link to a website. A common example is those that leverage the power of psychology, such as ”this man won 10 million dollars, you won’t believe what happened then”, and then when you click on the link, you are forced to type in your personal information or login in order to access the information. Remember that if something is too good to be true, it probably is. On many social sites, you can hover over the link to see where it is leading to. If the link doesn’t lead you to where it says it is, it’s better to avoid clicking on it. If you want to stay on the safe side, you should always log out of your social media accounts when you are done. This is especially true if you are sharing computers or phones. Not only is it important to be careful with your personal information when sharing things on social media, but you should also consider other factors that can harm you if they get into the wrong hands. By sharing too much information, thieves and scammers can use that information to do things against you. This is especially true if you are sharing personal information, which I’ll go into more detail further on. Never ever leave our your social media login information. No matter if it comes from a friend on social media that you trust very much. Because the case might just be that they have been hacked, and their account is managed by a bot. Moreover, you should also be extremely careful with sharing your login information with things that you perceive as being the social media platform you’re using. For instance, no social media platform will log you out. Moreover, there are sites that disguise themselves as being the login page of different social media platforms, so it’s important that you know that you’re on the right website when you log in, and not on a website in disguise. Different social media sites are more and more giving users the ability to control and manage their own privacy settings on the platform. Most people believe that you have to satisfy with the default settings, but that’s just not true. Therefore, it is highly recommended that you take a look at your privacy settings on the different platforms, and change the settings to your preferred settings. Facebook is among the platforms that give you the most amount of choices and options when it comes to your privacy settings, so that’s a great place to start. With the privacy settings, you can change anything from if your friends can see your profile, what people can see, and so on. Something that many social media platforms allow you to do is set your profile to private. Doing this ensures that only the people who you have accepted can see your content and get information about you. However, have in mind that just because you have set your account to private, doesn’t mean that your information isn’t able to get outside of your circle. For instance, a friend of yours might share that information with another friend, whether intentional or unintentional, thus potentially spreading sensitive information about you. Moreover, if some of your followers become hacked, people who you don’t want to see your content can get access to it. As a result, it is crucial that even if you have your profile set to private, and even if you have only accepted a limited number of people, you should still be careful with the information that you share, because it might leak. Moreover, if you are using Facebook, it can be a good idea to turn off location settings for your apps, as doing this will prevent you from checking in at locations, thus keeping people posted in your exact location. Antivirus programs have saved a lot of people from scammers and hackers. If you don’t have an antivirus program you run a tremendous risk of hackers and viruses, yet still, a 2013 study from Microsoft found that a whopping 24% of PCs in the world are unprotected. By not using anti-virus programs, you make it possible for people to find loopholes and thus access your computer and personal information. Outdated browsers are huge security threats. This also goes for when using social media on your browsers. 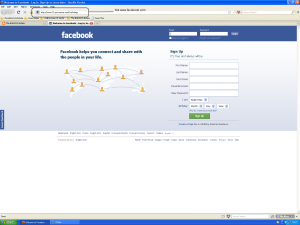 Old, outdated browsers may have loopholes and vulnerabilities which hackers can leverage. Most browsers have an auto-update feature, so preferably, you should keep this on. It’s easy to get carried away with the numbers on social media. I get it, everyone wants more followers, and everyone wants to look more popular. But there’s a great difference between your brand’s social media account and your private personal account. While most of these tips are relevant whether you’re using social media for your brand, this tip may or may not be relevant to you as a brand. You probably have a personal account where you follow your friends and family, and you might have an account for your business. Obviously, if you’re using social media for marketing, it is a numbers game in a way, because you strive for generating the best results possible, but at the same time, the things you share on your brand’s social media is much less sensitive, right? But when it comes to your personal profile on social media, and considering you don’t have the goal to build a personal brand, it isn’t a numbers game. Don’t accept all friend requests, and don’t accept all follower requests, because it can jeopardize your security. Make sure that you only connect the people who you truly know. And as mentioned earlier, scammers create a fake account in order to replicate them and fool their friends, so don’t always believe that everything is what it seems to be. And the more people you have following you on social media, the bigger risk you are running. Elaborating on the previous point, if you want to stay safe on social media, it is better to have a smaller network than it is to have a big one. Moreover, by having a smaller network, you can build stronger relationships with your existing friends and followers. If you have a bunch of old social media accounts that you aren’t using, they might be putting you in danger. If you have security questions, with answers about things from the past, scammers might be able to access that information from your old account and ultimately hack you. Accounts from the past can often reveal a lot. Also, if you have old social media accounts, there might be things that you don’t want people to see, and that you might have forgotten about. Therefore, it is always best to delete old social media accounts that you don’t use anymore because people can get ahold of that information from the past. This is probably the most important way you can protect yourself on social media. Nowadays, a lot of people share their whole lives on social media. From what they are eating to when they are showering, to how they are feeling, or how big of a douche their boss is. But being too personal on social media creates a lot of risks. For example, would you put up a sign at your house saying ”on vacation – returning in one week”? But when you share your vacation plans on social media, and you post all your vacation images from your lovely stay, that’s exactly what you do. And many do it without really realizing the potential social media risk. Every time you share something on social media, you need to ask yourself ”can this information be used against me?”. If not, then go ahead and post it! And what’s more, while one piece of content might not the harmful information about you, if you share personal information consistently over time, scammers and hackers can get a clear picture of your personality and habits, as well as other personal information. A very important way to stay safe when using social media is not to share when you are away, and how long you’re away for. Because this information makes it effortless for burglars to break into your house while you are gone. And this is happening more and more as burglar realize that they can see exactly when people are away from home, as well as get an idea of where people live. The more personal are on social media, the higher the risk. For instance, a common way for hackers to access your various accounts – including financial accounts, is to click ”forgot account”. And if you have told everyone about every single personal detail there is to know about you, on social media, answering security questions, such as your birthday, first girlfriend/boyfriend, hometown, high school, etc. becomes super easy all of a sudden. This is why, if you can, you should, if possible, create your own security questions, have answers that aren’t directly tied to you personally, or questions that only you know the answer to. It’s easy to get carried away on social media, and share all parts of your life including your birthday, your family, habits, address, and maybe even personal security number. But at the same time, it’s important to know the risks of doing so. On Facebook, for instance, you can limit the people who can see your hometown and birthday, so this is something you want to look at. With revealing your vacations and the times you are away, insurance companies can even deny you money if you’ve shown that you haven’t been in the house in an obvious way. When you create an account on a social media platform, you accept their policy, this also includes the way they are allowed to use your information. And very seldom, if ever, we take the time to actually read through what we are actually accepting. But the thing is, doing so is actually no bad idea. If a social media platform is sold, the information changes hands, which in the worst case can mean that information might leak. Moreover, social media platforms can change policies with or without you knowing, so staying up-to-date with the privacy policies of social media platforms is to recommend, so you know what the update means to you. OpenID is an open source tool that allows you to create a single log-in to several platforms. Not all sites support OpenID, but many do. Companies like AOL, Sun, and Microsoft currently support it. Your email address is a goldmine for hackers because most people have created social media accounts for all social media platforms using only one email address. And when clicking on ”forgot password” on a social media site, a reset email will come to the email address that you have registered with your account. This means that if a hacker and scammer gets access to your email address, they might be able to hack all of your social media accounts, as well as access tons of other information. This is why you ideally want to use a different email address for all of your social media accounts. Doing so prevents you from getting hacked on all of your social media accounts, and instead just on one, thus limiting the damage hackers can do to your social media. Most social media platforms offer the ability to connect your different social media accounts, for instance, if you want to share the same post across your social media accounts. Moreover, a lot of websites offer the ability to connect your social media account instead of creating a new account on the website. but do this with caution – or don’t do it at all. When you connect your social media account, you share all your information with the site, and you have no idea how they might use it. You share your birthday, location, email address, photos, and much more. Unless the website is highly credible, don’t log in with your social media account. And even if the site is credible, you need to be aware of the fact that they get access to all of your information, and you don’t know what they will do with it. Plenty of people share all of their work history on LinkedIn, and this can create a lot of dangers. Because what you’re doing is sharing you’re sharing your whole resume with people, and you have no idea who might come across your profile. If it gets into the hands of thieves, they might use that information to steal your identity, fill out a loan, or maybe guess the password to your social media account. If you’re using LinkedIn, you also have the opportunity to limit the people who can see your account information. If you share something on social media, it will be there forever – even if you delete it. Moreover, many social media sites have a policy that you accept when creating an account which says that they own the full rights to all content being shared on the platform. Don’t for one second believe that just because you delete your account, and just because you delete your posts that they are gone because they’re not. Not only are the located in the social media platform’s database, but they might also be left in Google’s searches, meaning people might be able to find the thing you’ve shared long after you’ve deleted it. Moreover, social media is a public resource, which means that whatever you share can be accessed by all types of people – including hackers. This is why it is crucial to ask yourself if the content you’re about to share can harm you in any way if it gets in the wrong hands because just because you delete it doesn’t mean it is gone. It’s not uncommon that scammers create accounts in other people’s names and impersonate other people. Doing so can allow them to add your friends, or send messages to people, who are unaware of the fact that it isn’t coming from you. Therefore, not only should you be a little cautious with clicking links, or trusting messages that say that they come from your friend, but you should always be on guard with people who are pretending to be you and stealing your identity on social media. It’s not completely uncommon that people leave comments in your name for various reasons, which can severely damage your reputation. It’s no news that people every now and then get fired for things they’ve done, said, or shared on social media. It might be showcasing a certain behavior that isn’t acceptable by the company, or something similar. Moreover, more and more, brands are looking at your social media profiles before they hire you, and if they find things that aren’t appropriate, they might decide not to hire you. This is why it is important to be aware of the social media policy that your company has, because who wants to lose their job because of something they’ve done on social media? And sometimes, you might not mean anything negative, or you might not have thoughts twice before you shared it, and now, it is hitting you back in your face. By being aware of your brand’s social media policy, you can list ourself, and stay away from the things that might be considered inappropriate or unacceptable. You don’t know what information is out there unless you actively and consistently check the web. Hackers might have hacked your account and done things without you knowing, or they might have accessed sensitive information about you that has then been leaked. Therefore, a good idea is to search for your name on Google every now and then so you can see if there is any inappropriate content in the search results, which you haven’t shared. Moreover, if you have an open social media profile, your posts can be indexed by Google and showcased in search results, but if you have your profile set to private, it won’t thus limiting the number of people who can find information about you. Unless you have your personal brand, it’s best to keep business and private separate. Stay away from sharing personal information on your business profiles, and vice versa. As mentioned earlier, people can both have their accounts hacked, and have their profiles replicated, and this is why you need to be cautious with trusting any messages that you receive on social media, especially if the message sounds suspicious, or if it asks you to click on a link. If you suspect that the message isn’t from them, use another social media platform, or another mean of communication and ask them. People create fake websites that are made to look like replications of different websites in order to acquire your login for the social media platform that you think you are trying to log into. And by disguising their website, they can hack your social media account. Therefore, it is important that you don’t click on any links to get to the social media platform you’re trying to log into. instead, type the address directly into your search bar and make sure that you haven’t misspelled it. A way for hackers is to create fake versions of a social media platform and use URLs where people have misspelled the domain name. If you’re using the app, you don’t have to deal with all of that, but at the same time, it’s important that you download the correct version and not a fake one. Social media has a large number of benefits, but as with everything, there are some things that are less good. For social media, this is especially that there might be dangers lurking around the corners. The good news is that just being aware of the dangers is a great way to stay safe on social media. Do you have any secret tricks?